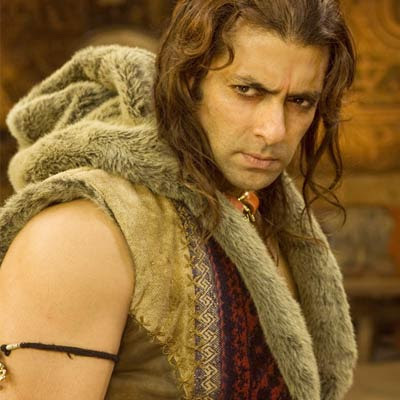 We have already seen first look of Salman Khan and 6 pack abs shirtless posing for movie Veer. 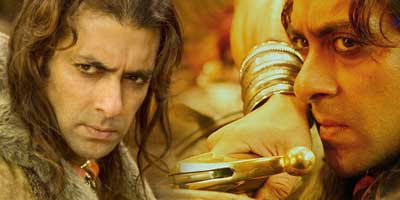 Here is more, as Salman try to pose with a heavy sword. Long hair with bronze color spread all over. It looks like those action hero type of movie and Salman got Mithun Chakraborty for the company. Movie is directed by Anil Sharma. He has previously dished out movies like Gadar and Ab Tumhare Hawale Watan Sathiyo. Salman looks good but old N tired - what say people? Another flop for Salman The Flop Khan. any movie dude …he is best and best being him self he is not media made god he is just too cool..
salman khan i love you, you are sooooo handsome. katrina kaif is a lucy girl because you are katrina`s boyfriend, and i love katrina kaif and you.